The 7 pack is a list of search results presented by Google for some business categories when people search for local businesses. The list will comprise of 7 different businesses details with any reviews, alongside a map of the local area. The 7 packs results differ depending on where you are searching from. Not all words currently trigger the 7 pack but Google constantly add new ones to get more customers to shop locally. In order to appear in the listings firstly you must have your business information within Google. This information is core to people looking for your company, Google call this ‘Google My Business’ and it encompasses the Google+ page. If your company has a Google+ page it is vitally important to claim this listing and manage this page if you haven’t already done so. If you can’t find a Google page then go to ‘Google My Business’ where you will be guided through the process on creating a new business listing within Google. As standard, Google will present people searching with seven results for local businesses on the first page. While it is possible for people to dig a little deeper and find alternative companies in their area, they are less likely to do that. For that reason, you need to guarantee your website and business details are listed in the top seven. Anything past there and you won’t appear on the first page. That will mean your competition are being seen and not you. As a result of appearing in good positions for certain keywords, you will inevitably receive more traffic to your website. Not only that, but the people landing on your pages will be interested in your services. It’s all well and good having 1,000 hits per day, but that’s not much use to you if they’re from random people with no interest in your company. These are people directly searching for goods or services in your area. 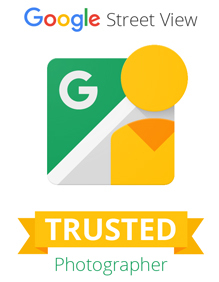 If you have a Google+ page and are not being found in the 7 pack for your local area then please give us a call. We can advise practical solutions, helping to optimise both your Google listing and your website. With many other factors influencing the state of your ranking online we run reports to see the wider picture too and create strategies to ensure your company is found.